I coach women, men, teens, couples and families and struggling with tough topics such as domestic violence, sexual abuse and unhealthy relationship patterns. Hi Jessica , I would like to speak with you briefly to see if you're a good fit to coach me. Please contact me at your earliest convenience. 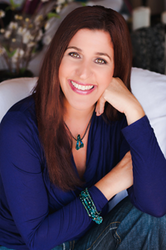 Jessica Yaffa is a Certified Relationship Coach specializing in creating safe spaces in order to address tough topics such as domestic violence, sexual abuse, unhealthy relationship patterns, and finding freedom following relational trauma. In addition to offering one-on-one support to clients around the country, Ms. Yaffa also spends her time facilitating trainings, working with organizations around the assessment and response process related to relationship abuse, and supporting family systems interested in intervening on behalf of a loved one who may be in trouble. Being a survivor herself, Jessica combines her personal and professional experiences in order to positively impact those deserving of a respectful and unbiased place to find healing and restore their sense of self. Have you worked with Jessica ? Tell your friends! Jessica hasn't submitted any articles.